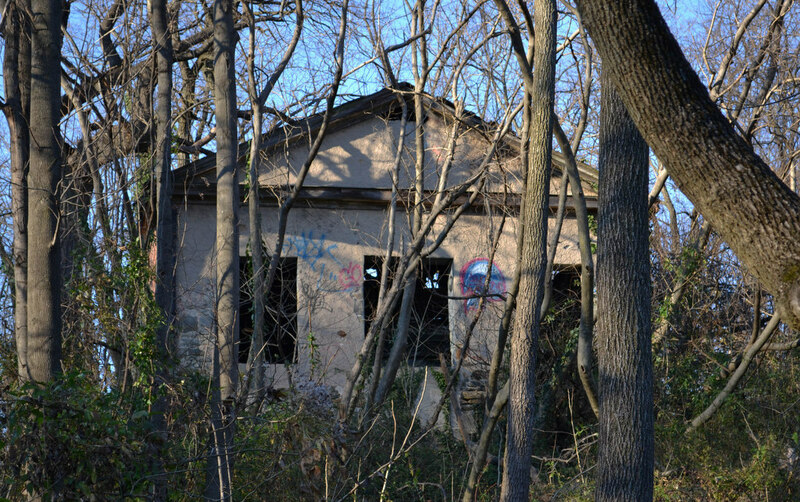 The Eutaw Chapel is a largely forgotten landmark hidden in the woods above Hall's Springs in Herring Run Park. 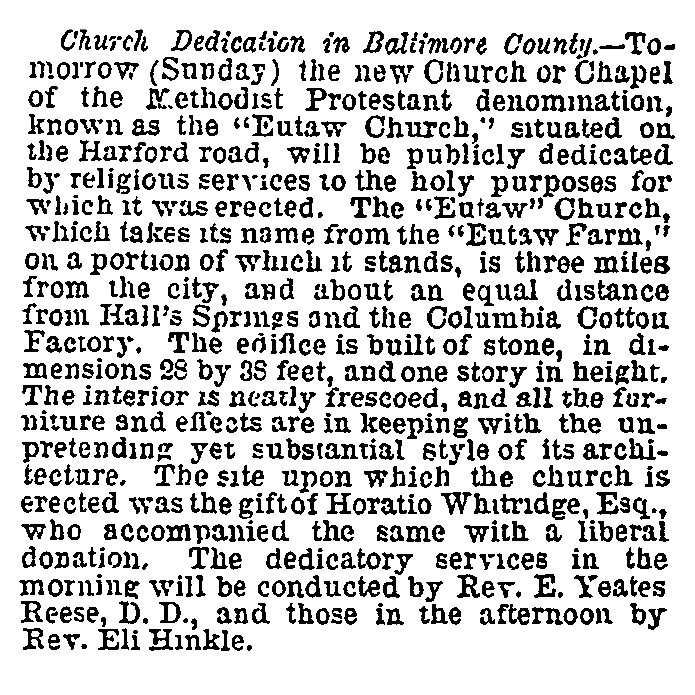 The former church dates to 1861 when the small stone building was built on a property donated by Horatio Whitridge, Esq. Located three miles outside the city, the chapel stood between Hall's Spring and the Columbian Cotton Factory. The name came from "Eutaw Farm"—a property owned and developed by William Smith in the late 1700s and Benedict William Hall in the early 1800s. 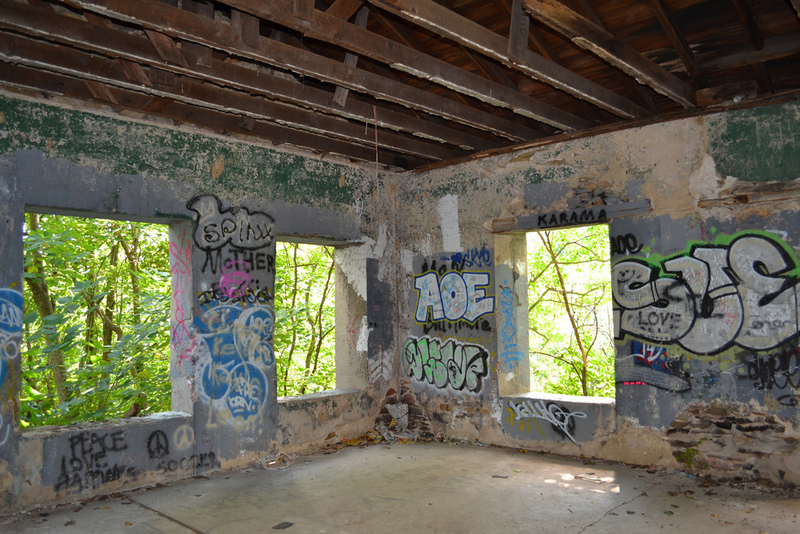 Like the nearby Ivy Mill, a former gristmill purchased by Morgan State University when they moved to northeast Baltimore in 1917, the building is made of Baltimore Gneiss. Baltimore Gneiss is a gray-green rock formed along the Herring Run over a billion years ago, making it the oldest material within city boundaries. The strength of the rock has kept the building standing despite years of neglect that have left the structure in terrible condition. Recent plans for Herring Run Park include the proposal to stabilize and reuse the structure as a public park pavilion. Eli Pousson, “Eutaw Chapel at Herring Run Park,” Explore Baltimore Heritage, accessed April 23, 2019, https://explore.baltimoreheritage.org/items/show/428. Published on Dec 3, 2014. Last updated on Nov 27, 2018.